Certificate UL for adaptor , FCC/CE certificate for products. Lead time 3-5days for samples,15-20days for bulk order after sample confirmed Payment As per agreement. 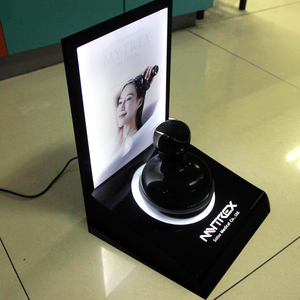 Remark OEM/ODM, artwork design , display desgin, UI and electronics function desgin. 4. Good process ability, suitable for machanical processing and easily thermal molded. 7. Acrylics sheet can be dyed, the surface can be spray painting, silk sreen printing or cacuum filmed. 8. Acrylics sheet has different surface luster and decorative patterns. Enping Yike Musical Instruments Co., Ltd. Height 690-1200mm Steel pipe color black Load capacity 30kgs Connection color black Weight 2kgs Connection material plastic Material steel Steel moving tube length 660mm Steel central tube length 630mm Steel leg tube length 540mm Detailed Images Our Company Yuyao JieTao Musical Equipment Factory is located in the world-famous port city-Ningbo and adjacent to Shanghai and Hangzhou. 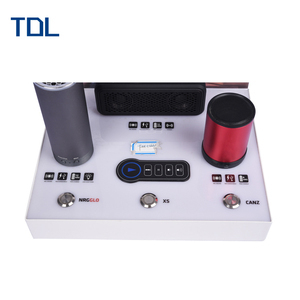 Our factory was established in 1996 and speciallized in research and development of high quality speaker stand,light stand,microphone stand,keyboard stand,music stand and other audio equipment. "Quality first,reputation first" is our principle. 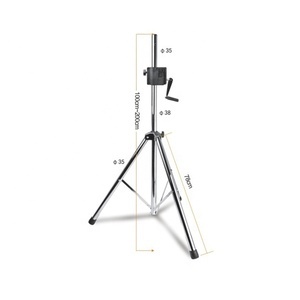 Tags: Cheap Speaker Stand | Tripod Speaker Stand . and also offer One-Store-Sourcing solution for retail and business service industry. 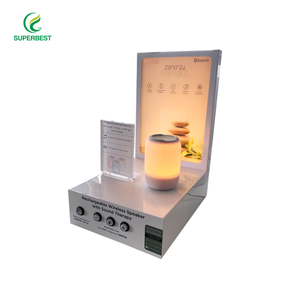 Our Vision : To be the best One-Stop-Sourcing retail equipment supplier from China. Our Mission : Let more international chain stores use Chinses retail equipments. 9. 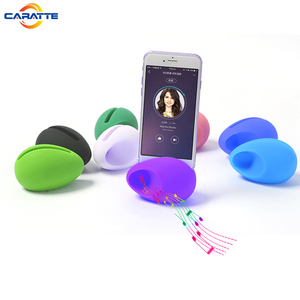 Can hands-free calls , this speaker holder free your hands and allows you to enjoy music everywhere. 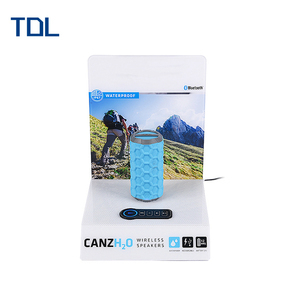 It is definitely an ultra-portable speaker Stand that you can take anywhere. -Red and blue light alternately flashing: searching or waiting the device connect with speaker. 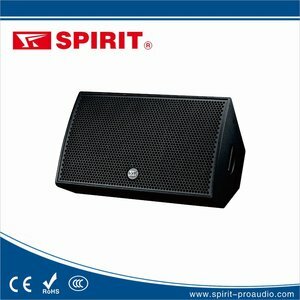 Alibaba.com offers 5,226 oem speaker stands products. About 24% of these are speaker, 9% are professional audio, video & lighting, and 7% are display racks. 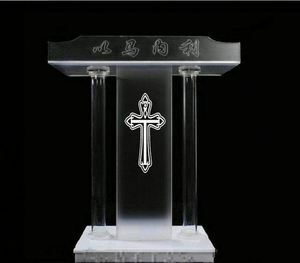 A wide variety of oem speaker stands options are available to you, such as metal, acrylic. 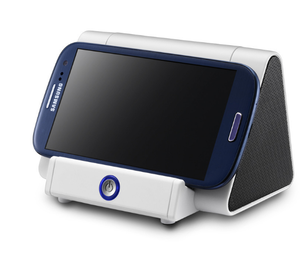 You can also choose from home theatre, computer, and mobile phone. As well as from mini, wireless, and portable. 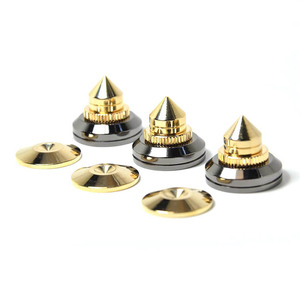 And whether oem speaker stands is drilling, active, or passive. 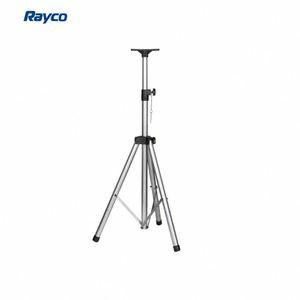 There are 5,183 oem speaker stands suppliers, mainly located in Asia. 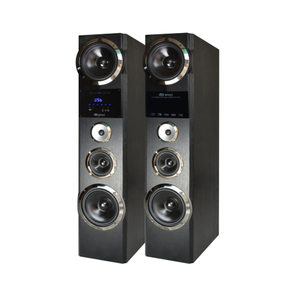 The top supplying countries are China (Mainland), Hong Kong, and Thailand, which supply 99%, 1%, and 1% of oem speaker stands respectively. 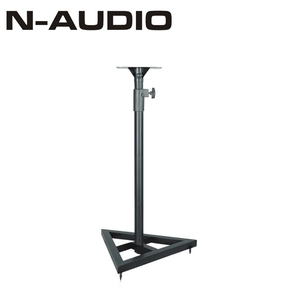 Oem speaker stands products are most popular in North America, Western Europe, and Eastern Europe. You can ensure product safety by selecting from certified suppliers, including 576 with ISO9001, 421 with Other, and 213 with ISO14001 certification.